I had a very successful day at Ally Pally. Am too tired to write about it all now but here’s some inspiration for you. 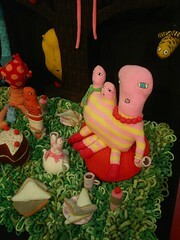 I love Donna Wilson’s work and saw some of her softies for sale in Islington last week. 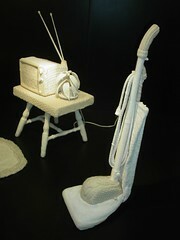 These were included in the Crafts Council’s Knit 2 Together exhibition which has been travelling around the country. Janet Morton’s Domestic Interior is just fabulous and made me laugh. More tomorrow……….